Welcome to Osaka! My name is Jackie. I love traveling, cooking, eating... Eating is the best way to feel and experience a foreign culture directly. 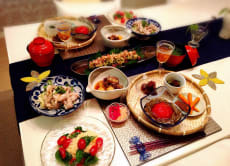 I offer a wonderful Japanese cultural experience through my cooking class at my private home and a local market tour. I can teach you Japanese business dinner etiquette because of my rich business experience at Ernst & Young Japan LCC (2008-2015) where I still work part-time and Panasonic Information Systems Co. & Ltd. (2000-2008). Jackie and Okaasan are super lovely and gracious hostesses with very infectious personalities. We didn't want to leave! Learnt lots of interesting things and ate lots of yummy Japanese food. Definitely a must if you're in Osaka! Where to even start? This class was absolutely amazing! Jackie and her mother spent a whole morning and afternoon touring us around a local market, teaching us about how to source the freshest ingredients, and then showing us how to make six different dishes. She was exceptionally accommodating about our dietary restrictions, and modified several of the dishes to fit them. Together, we learned to make agedashi tofu, dashi soup, a delicious Japanese vegetable salad, yuzu pepper teriyaki fish, maki rolls, and matcha jelly. Jackie's apartment is beautifully decorated, and her mother (who is also so charming!) made us origami table decorations of peacocks and decorated chopstick holders. Each step of the cooking process was explained clearly and Jackie put together a course booklet of all of the recipes and the theory behind using 'umami' flavors in Japanese cooking. We drank sake and homemade plum wine, as well as green tea and a beautiful cherry blossom flower tea. We even tried on her grandmother's hand-sewn kimonos after the class was done! There were so many great moments throughout the day, and we felt warmly welcomed by Jackie and her mother. We would recommend this course to anyone traveling to Osaka - it was truly one of the highlights of our entire trip! My girlfriend and I are a couple from Australia that had just the best time with Jackie on this cooking course! She met us at the station and gave us a lengthy tour of the local markets, we tried some of the food we would later cook with and she described the uses and cultural history of many items. The cooking course is in her lovely, very stylish, home. It was just us, Jackie and her lovely mother who assisted with the cooking. All up we made about five dishes and four sides. It was a lot of food! Both Jackie and her mother are warm and lovely people, very inviting. Even though her mother did not speak much English (which is fair enough) she made herself well understood and was a total crack up (funny). The foods were all traditional Japanese including teriyaki fish, sushi, sashimi, daishi soup and green tea jelly. The cooking itself is best suited to beginner cooks as the dishes are very simple recipes, but the personalities of the two women make it a must do for anyone. There was a short course in what makes Umami which Jackie had printed for us with the recipes of what we made, it was easy to understand and you take them home when you leave. We had a great day doing the Umami cooking course and will definitely recommend it to our friends back home! Superbe expérience à Osaka. Jackie m'a permis de découvrir un marché local. Nous nous sommes ensuite rendu chez elle pour cuisiner avec sa mère. Nous avons mangé ce que nous avions préparer et pour finir nous avons fait un tour dans un centre commercial. J'ai passé une journée riche en découverte avec une délicieuse personne. Jackie ne parle pas français mais très bien anglais.